UPDATE: 11:30am CDT Sunday: The new GFS (12Z Sunday version) is out and it takes what it is forecasting to be Hurricane Irene on a path that would brush the east coast of Florida and hit southern South Carolina. Now, I do not believe that will necessarily be the correct path. I point this out only to illustrate that the forecasts are not reliable beyond about three days. As I say in the posting immediately below, if you are in Florida or a state adjacent to Florida take a look at some of the preliminary precautions I suggest. 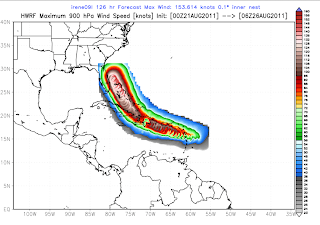 With a hat tip to WattsUpWithThat, take a look at these two new computer model path forecasts -- and how both merely brush Florida rather than striking the state head-on. Click to enlarge. 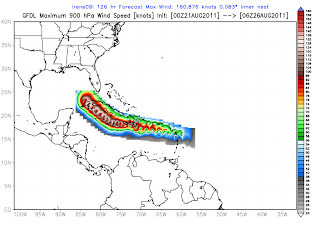 Hurricane forecasts at 72 hours or less from landfall have gotten to be quite good. Five days, or more, not so much. 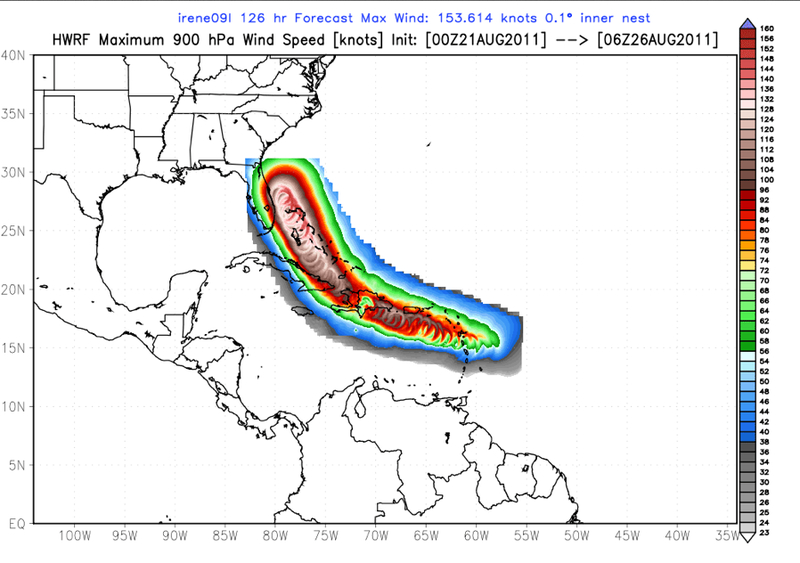 This is why I urge people in Florida not to be overly concerned at this point.